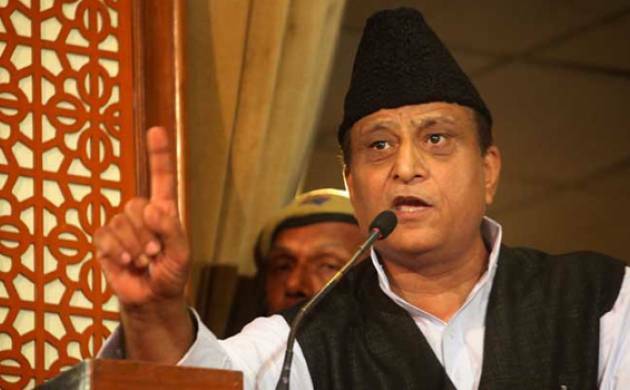 Refuting allegations that he had befooled Muslims on the issue of quota, Uttar Pradesh Parliamentary Affairs Minister Azam Khan today said Samajwadi Party never promised 18 per cent reservation to them. “Samajwadi Party never promised 18 per cent reservation to Muslims in its 2012 assembly poll manifesto...Reservation can be given only after amending the Constitution and unless that is carried out, not even 0.8 per cent reservation can be given to the minorities,” Khan said in the state Assembly. He was replying to Leader of Opposition Gaya Charan Dinkar’s charges while speaking on admissibility of his adjournment notice on law and order situation. Saying that Muslims today were more aware and cannot be befooled on such “sensitive and emotive issues”, Khan said they have become tech-savvy and can also know about BSP’s views on the minority community. “Mayawati created number of districts...Constructed scores of parks and memorials and not one was named after a Muslim, he said, adding “She herself was not aware of which religion she belongs to”. “Everyone knows how BSP ruled the state three times with BJP, and Mayawati even going to campaign for Narendra Modi in Gujarat,” Khan said and recalled that BSP founder during a Kanpur rally had suggested “setting up toilets at the disputed place in Ayodhya to resolve the longstanding dispute”.